Directions: From Route 15: Follow Circle Drive (Route 715) to Arvon Road (Route 675) Take Arvon Road west past the Arvonia Post Office, Arvonia United Methodist Church and Arvonia Fire Hall. Turn right on Morgan's Hill Road. Arvon Presbyterian Church is about 1/4 mile on the left. Worship Services are held at 11:00 am on the first and third Sundays of each month. We have a Fellowship Breakfast on the first Sunday at 9:30 am. On the second and fourth Sundays we worship at Fork Union Presbyterian Church, and on fifth Sundays, if there is one, we worship at Trinity-New Canton Presbyterian Church. Rugged individualists from Wales came to Buckingham County, Virginia in the 1800's in order to quarry the outstanding and large mines of slate available and awaiting individuals of ingenuity, initiative and painstaking commitment. Hence as early as 1867 a small hamlet was founded by the Cymry (Welsh countrymen). A slate manufacturer, John Williams, made the suggestion with which various other settlers in the Commonwealth concurred, that in honor of Caernarvon, Wales, this hamlet should be named Arvon. This occurred circa 1867, but in a very few years, it became necessary to avoid confusion between Avon, Virginia and Arvon, Virginia; therefore, Arvon became Arvonia -- although church names in the vicinity remained Arvon. Note: The present day Buckingham Slate Company, a commercial enterprise, has a page of their website devoted to the history of slate mining in Arvonia, including several photographs. Even to this day, the Welsh flag flies proudly over the little Arvon Memorial Cemetery, located across the road from the Arvon Presbyterian Church. Note: Many of the earliest tombstones are slate, and bear Welsh inscriptions. Many members, largely Welsh in background, of Trinity Church in New Canton wanted religious services to be held in the immediate vicinity of the "Slate Quarries." As early as November 10, 1883 the Trinity Church Session Minutes note receiving several members into full communion from "a Church in Wales." Those same minutes also reflect transferring the membership of John Edwards to "The Slate Quarries..."
On August 10, 1884 ordination and installation services were held for an Elder and a Deacon at "The Welsh Chapel." 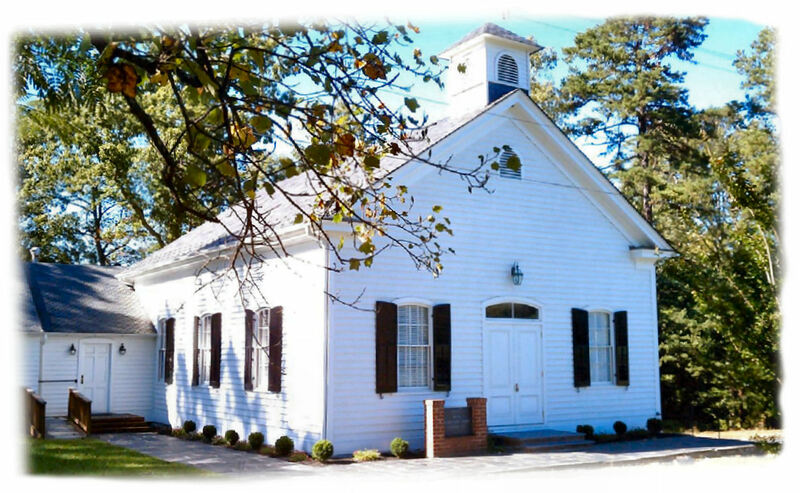 What was then West Hanover Presbytery officially organized the Arvon Church on September 26, 1885. Note: an email from a long time member of the church whose ancestors remembered the early days explains that originally the Worship Service and the hymns were conducted in the Welsh language! On September 13, 1889 a joint committee of Elders and Deacons from Trinity and Arvon were appointed to begin the construction of a Manse across the road from the Arvon Church. This home still stands, but is now privately owned. On October 9, 1960 an Annex to the Sanctuary portion of the church was dedicated, adding classrooms, a social hall and a kitchen. On January 15, 2009 the Sanctuary portion of the building was almost completely destroyed by fire. On June 9, 2009, at a Special Called Meeting, the Arvon Session voted to begin the rebuilding process. On March 11, 2012 the Session of Arvon Church accepted the recommendation of the Rebuilding Committee to resume our normal worship schedule on Palm Sunday. April 1, 2012. We praise God for this wonderful event in the life of our Parish! Arvon Presbyterian Church resumed its regular 11:00 am worship schedule on the first and third Sundays of each month on Palm Sunday, April 1, 2012. This represented several years of intense work and dedication on the part of the Arvon congregation. Arvon church worshiped at Fork Union Presbyterian Church during the rebuilding of the Sanctuary.. We thank the Session and Congregation of Fork Union Church for their understanding, prayers and support during this difficult time. We are excited by the rebuilding of our sanctuary, and being able to again worship there on the first and third Sundays of each month! A Committee of Session, comprised of Elders Bobby Jones, Peggy Johnson, Steve Sykes and Joe Allmond was set up to guide the process. On July 9, 2009, the committee conducted a "pre-bid" meeting with representatives of 10 contractors who had expressed interest in bidding on the cleanup and debris removal phase of the project. On July 26, 2009, the Rebuild Committee selected a contractor to demolish the damaged portion of the structure in preparation for the construction phase. That work was completed on July 31, 2009. Based on our findings after the removal of the old structure, we had to reinforce the "dry stacked" slate foundation to meet moderrn building practices. That work was completed in mid September. Construction began in April 2010, and by August 25, the building exterior was largely complete, complete with windows with historic glass which were fashioned by a local craftsman, Wayne Cain. The Sanctuary portion of the work iwas completed in early 2012, and we resumed worship there on Palm Sunday, April 1, 2012. If you would like to lend your time, talents or financial support to the rebuilding effort, please email us! Thank you to Palmyra Methodist Church for the donation of choir robes. Thank you to Grace and Glory Lutheran Church, Palmyra, for donation of hymnals and music for the choir.